Tell me in the comments section below – What’s your perfect dream vacation? To enter the PCH Sweepstakes you must visit Sweepstakes official page and then complete and submit an online entry form including your full name, street address, zip code, date of birth and email address. You’ll be provided with a Prize Number at Publishers Clearing House Headquarters. PCH.com $10,000 Dream Vacation Sweepstakes! “All entries received by 11:59 P.M., ET, 6/26/18 from this Promotion will be eligible for a $10,000.00 prize (Giveaway No. 10078). You will automatically be entered into this Giveaway by completing and submitting the sweepstakes entry form. Upon timely entry, your assigned Prize Number will be fully eligible to win. Entries submitted from this Bulletin/Promotion after the deadline will be deemed invalid.You will win a prize of $10,000.00 from Giveaway No. 10078 if you submit a timely entry from this Bulletin and have the number that matches the winning number.” Vacation Sweepstakes 2018. PCHFrontPage I am claiming sole ownership and activate SEARCH #6, entries to win $10,000.00 Towards A Summer Vacation GWY #11936, during special early look event, 4/26/19. GET IN TO WIN. PCH VIP ELITE 5 Loyalty Rewards, I am claiming ownership and activate SEARCH #5 Loyalty Rewards entries to win $15,000.00 Cash, GWY #11936, 12/21/18. I want to win this prize. I AM IN IT TO WIN IT. Yes I want to win $15,000.00 for A Luxury Dream Vacation; Yes I want to win on December 21st. Thanks again PCH and Prize Partrol. God Bless. Happy Holidays! Claiming $15,000.00 TOWARD A LUXURY VACATION for me and my daughters. PCH. GWY. NO. 11936! WOW! What!A Luxury Vacation I can take; $15,000.00 in Cash! Thanks again PCH and Prize Partrol. God Bless.Yes I want to win on October 26th. PCH Claim Full Entitlement for 7 Opportunities to Win, I am claiming ownership and active Claim all 7 Opportunities, SEARCH 4 entries to win $25,000.00 cash, 10/26/18 GWY #11475. I want to win this prize. WOW!$15,000.00 Cash; A dream vacation, Car repairs,Just enjoy “The Blessing”! Thanks again PCH and Prize Partrol.God Bless.Yes I want to win! 11:59 PM, ET deadline applies. PCH Around the World, I am claiming ownership and active SEARCH 3, Around the World entries to win $15,000.00 cash, 10/26/18 GWY #11936. I want to win this prize. Yes I want to win A $10,000.00 Dream Vacation! Thanks again PCH and Prize Partrol. God Bless. I would love to win the $10,000 vacation price it would be a dream come true for me and my family ! PCH Prize Guaranteed to be Awarded, I am claiming ownership and active SEARCH 4 though SEARCH 6 entries to win $10,000.00 Cash for Dream Vacation, 10/26/18 GWY #10078. I want to win this prize. I am claiming that GWY #10078 be added to the winner selection list. Yes I want to win,Giveaway No.11936;$15,000.00 Vacation Cash! Thanks again PCH and Prize Partrol.Yes I want to win and meet The Prize Partrol Team,in,Fleming Island,Florida at the McBride house,on October 26th. PCH Frontpage…5 BIG PRIZES AT STAKE… I want to win $10,000.00 (PCH Gwy. No. 11936). Claiming my entry. Thank you. Clint henderson may 13 2018 i claim entry for search 3 25,000 for dream vacation. Search # 3._ PCH Search & Win, I claim $25.000.00 for a Dream Vacation from PCH Gwy 10074. Thanks Pch for a chance to win 4 wonderful prizes as soon. Yes I want to win $25,000.00 for a dream vacation;WOW think of the places I can go with no worries and have fun,fun,fun.Thanks again PCH and Prize Partrol.God Bless.Yes I want to win. Search Three._ PCH Frontpage, please activate my entry to win $15.000.00 from PCH Gwy 10078, on June 29th. Thanks for the opportunity to win thrre amazing and huge prizes. I would like to start to packing my bags for trip of Lifetime thanks!! Search & Win Alert. Current access four prizes at Stake! I claim $25.000.00 Cash prize from PCH Gwy 11475 in this April 27th during this Special Early Look Prize Event. thanks for a chance to win! Clint Henderson February 25 2018 i claim entry for search 3 to win 25,000 for a dream vacation. Yes I claim my 3 entries to win $20,000.00 plus $5,000.00 a week “forever”. Yes Prize Partrol it’s me Rickey entering to win $25,000.00 for a dream vacation WOW! Thanks again PCH and Prize Partrol.God Bless.Happy New Year.Yes I want to win. Search #3. PCH please activate mt entry to win $25.000.00 gor a dream vacation from PCH Gwy No 8184 on February 23rd thanks! I submit my Entry here to claim it to Win $25,000,00 for a Dream Vacation from PCH Gwy,No,8184. YES! I would like to WIN the $15,000.00 For a Dream Vacation Luxury from PCH Giveaway No. : 8187. And go somewhere WARM and SUNNY at this time of year. I sure need a Vacation. Yes Prize Partrol it’s me Rickey entering again to win $15,000.00 towards a dream vacation,WOW! Thanks again PCH and Prize Partrol.God Bless.Merry Christmas and Happy Holidays.Yes I want to win. RE: Search No. : 4 EXPLORE the wild! Win a Dream Vacation & $25,000.00 from PCH Giveaway No. : 10074. YES! I sure would LOVE to WIN a DREAM Vacation and EXPLORE the wild! $25,000.00 to travel to destination of my dreams! Search NOW! YES Be A WILD ONE! and EXPLORE. Yes, I am ready to go now! Search No. : 2 WIN A Dream Vacation and $25,000.00 from PCH Giveaway No. : 10074. YES! I would like to WIN the Dream Vacation DISCOVER new worlds! Travel to destination of my dreams! YES! I want to WIN $25,000.00 For A DREAM VACATION. I want to win the dream vacation of 10,000. I want to win the $10,000.00 vacation. I want to win the 10,000. Prize patrol please come see me. I CLAIM PCH $10,000.00 CASH PRIZE, GWY 8187. I WOULD LOVE TO WIN. JT ROCKIN IN ROCHESTER N.Y.yes I wanna win the Super Duper prizzzzzzeeeeeeeeeeeee!!!!!!!!!!!!!!! just keep playing to the best of my ability even if it seems like forever!let’s TURN TOKEN INTO YOUR SUPER PIZZEEEEEEEEEEEE!!! EVERY ENJOY PCH GAMES. I AM WITH A PCH SUPER PRIZZZEEEEE/ATTITUDE YES AGAIN I WANNA WIN !!!!!!!!!!!!!!!!!! PCH STAFF NEED TO INFORM YOU THAT MY PHONE /PCH APP WILL NOT LET ME SAYS ITS A VIRUS WHAT CAN I DO???????????????????? SHOULD I SAY, TO HELP MY DAUTHERS IN COLLEGE WITH THIS CASH. Greetings pch prize patrol/pch super staff? Winners must have many things! #1. )Definite realistic goals. (D.Saywers a true guy)#2)A burning desire. (pch players).#3)To believe you can achieve(me) yes I want to win! )#4)A must to make them happen.(D. SLOAN a happy guy.#5)A compassion to help others.Danielle l. pch super staff)!#6)All the above are true winners! Thank you jt Rockin in ROCHESTER,N.Y.W/ A PCH WINNERS ATTITUDE. YES I WANNA WIN! register me for the $10,000.00 cash prize. Yes I would love to be the winner of the $10,000 Cash Prize. Thank You PCH! I want to win $10,000 gwy 8187. That would be a dream vacation. My husband wants to go to Alaska. Prize Patrol please come to my house please. I really want to win the dream vacation. I’ve never been on a vacation that I had that much money to spend. I really want to win $10,000.00 for my personally designed vacation on 9/20! I do need to take a break any time soon to recharge my mind and body. Awesome! Please activate my name for 10,000 gwy 8187. I want to activate 15,000 gwy 8187 in my name. Yes I claim my 5 entries to win $10,000.00 cash on July 27th.HTkank You PCH! A vacation in the Turks & Cacao Islands would be a blessing to me In order to ease the arthritis in my spine and neck in the hot sun and sand will be greatly welcomed. Thanks for the opportunity . I’m claiming my entry today on Saturday 5/27-$250.00 Cash Prize will be awarded instantly before 11:59 PM, ET! Plus I’m searching today on Saturday to get my daily entry too win $2,000,000.00 Up Front, $10,000.00 A Month For Life, and a Brand New Lincoln MKZ worth over $36,000.00 June 30th in this Special Early Look Event from PCH Gwy. No. 8800. I’m keep searching daily for my chance to win! I’m claiming my entries for my chance to win. Plus MORE ON JUNE 30TH. Plus I’m searching on Saturday and Sunday to get my daily entry to win $2,000,000.00 Up Front, $10,000.00 A Month For Life, and a Brand New Lincoln MKZ worth over $36,000.00 June 30th in this Special Early Look Event from PCH Gwy. No. 8187. I’ll keep searching daily for my chance to win. I want to win the $10,000.00. PCH Giveaway No. : 8187. Yes I would LOVE to win the $10,000.00 to Pay Bills off, PCH Giveaway No. : 8187. Please enter me in the following VIP Giveaways:: Win $10,000.00 Cash from Gwy No. 8186 Cash from Gwy No. 8924! Win $50,000.00 Gwy No. 8187! Win $100,000.00 Cash from Gwy No. 8035! Please claim $15,000.00 cash for a vication yes I claim $15,000.00 vication thank you. Pch $15,000.00 For A Luxury Vacation Prize No-8187 On April 28th By 11:59 PM,ET Activate ! YES! I would love to WIN and CLAIM the $15,000 Luxury Vacation. PCH Giveaway No. : 8187 I sure would enjoy taking a vacation but a Luxury Vacation that would be GREAT! Sure hope to see the Publisher Clearing House Prize Patrol Elite Team come to my front door on April 28th! Sure hope that I am the SuperPrize Winner this time! I worked with my PCH searches today. I would like to claim my all my entries for these PCH giveaways coming up. 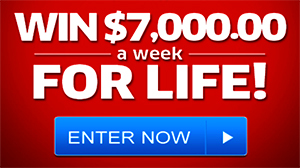 $7,000.00 A Week For Life Prize PCH Gwy. No. 8800 during this Special Early Look prize event. April 28th on NBC! Oh My “Gosh! If I was to win “All this it would be a Life Changing prize of an Everlasting Dream Come “True of A LifeTime! I would be so PCH EverLasting “HAPPY! I am so “very “excited with “hopes of the PCH PrizePatrol pulling up in front of my house, walking up to my door, ringing the door bell, and handing me my “Big” PCH Check, “Beautiful red roses, Balloons, and Champagne to “Celebrate. This would be a “Celebration of a “LIFETIME! I am waiting with open arms. Welcome PCH. “Welcome…”Welcome…”Welcome! I’m Waiting! 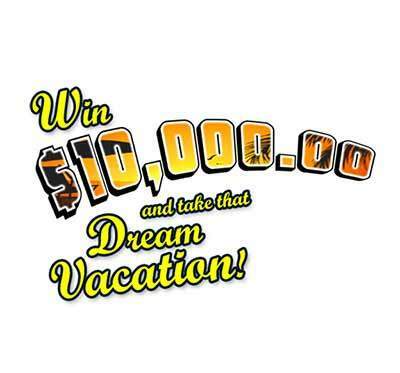 PCH WIN $ 10,000.00 towards a DREAM VACATION PCH GWY.NO 8186 ON APRIL 28TH! PCH YES WIN $ 1O, OOO.OO Towards A Dream Vacation PCH GWY.NO 8186 to take my sister family because her family dealing with a lot of illness so it would be nice . Pch Frontpage 3 Entries To Win $10,000.00 Cash Prize 8187 Plus, $7,000.00 A Week For Life Prize No-8800 On April 28th By 11:59 PM,ET Activate ! SEARCH #4 – ENTERING TO WIN PCH GWY NO.8187, FOR A LUXURY VACATION. IT HAS BEEN A LONG TIME SINCE WE’VE HAD A LUXURY VACATION. HOPING FOR THE BEST. Pch Frontpage Search $15,000.00 For A Luxury Vacation Prize No-8187 Plus, $7,000.00 A Week For Life Prize No-8800 On April 28th By 11:59 PM,ET Activate ! Pch Search $15,000.00 Cash For A Luxury Vacation Prize No-8187 On April 28th By 11:59 PM,ET Activate ! Pch Search & Win $15,000.00 Cash For A Vacation Prize No-8187 On April 28th By 11:59 PM,ET Activate ! Pch Search $15,000.00 Cash For A Vacation Prize No-8187 On April 28th By 11:59 PM,ET Activate ! Yes, I want to claim and win the Dream Luxury Vacation for $15,000.00 PCH Giveaway No. : 8187. Pch Search & Win $15,000.00 For Luxury Vacation Prize No-8187 On February 24th By 11:59 PM,ET Activate ! I would love to win $10,000 cash in Giveaway 8187. I will be entering three times. Hopefully, I will win something in the contest. I have been entering since January 1979 and haven’t won anything to date. Pch Frontpage Search 3 X Entries Win $10,000.00 Cash Prize No-8187 Plus, $5,000.00 A Week “Forever” And Then After For A Beneficiary Of My Choosing Prize No-6900 On February 24th By 11:59 PM,ET Activate ! Hello it’s a great opportunity for me to win this wonderful luxury vacation for $ 15,000.00 from PCH GWY # 8187 and I have always wanted to take a luxurious vacation all my life and it is soooooo awesome for me to win this cash it’s just very, very important to me and everyday I’m so excited to see what else is on the site to win it’s much pleasure I have enjoyed writing my comments. Thank you all so very much for PCH and my God Bless you all. Win $15,000.00 For A Luxury Vacation from Gwy No. 8187! I would love to win the $10,000.00 for a dream vacation. It would go towards a brand new F-150 so I can drive myself to multiple dream vacation spots. I would consider a dream vacation to be anywhere that is warm and safe. The company I am with will also help to guarantee my happiness. Douglas Rogers I would love to win a $10,000 price on Feb 24th. Please enter me to Win $15,000.00 For A Luxury Vacation from Gwy No. 6086! Yes I would love to win a Cash prize plus $15,000.00 Vacation. ENTERING TO CLAIM AND WIN PCH GWY NO 6086, $10,000.00 TOWARD A LUXURY VACATION. I WOULD ENJOY GOING TO HAWAII OR TAKING A DISNEY CRUISE, IT IS SOMETHING TO LOOK FORWARD TOO. Today i am entering 5X more to win $10,000.00 Cash Prize from PCH Gwy #6086. This is just a perfect prize for my dream vacation. Thank you! 5 Entries To Win $10,000.00 Towards A Luxury Vacation! Please enter my Five Entries To Win this Prize from Giveaway No. 6085! I Gail CLAIM TO WIN $15,000.00 FOR A LUXURY VACATION FROM PCH GWY. #6086 & I THANK PCH STAFF PRIZE PATROL FOR EVERYTHING & HOPE TO SEE THE PRIZE PATROL AT MY DOOR SOON. THANK YOU ALL!